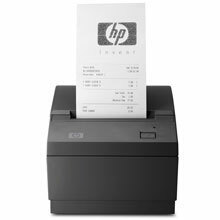 Thermal receipt printing, PoweredUSB interface, auto-cutter. Includes interface cable. PoweredUSB is non-standard, please call for more information. Thermal receipt printing, 130 mm/s, 80 mm width, PoweredUSB interface, auto-cutter. Includes interface cable. PoweredUSB is non-standard, please call for more information.